COCOLAMUS — After opening their season just one day before, the East Juniata boys basketball team welcomed a talented Mifflinburg team to the East Juniata gym Wednesday night. 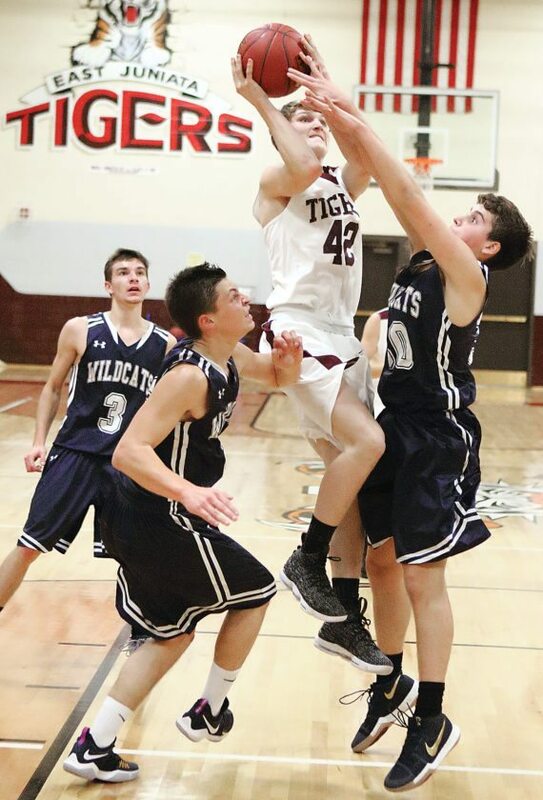 With a lineup full of scorers, the Wildcats were scoring from all over the court as they played the unfriendly guest role posting an 87-42 victory over the young and improving Tigers. Leading the way for the visitors were Levi Yoder and Jordan Tyson who led all scorers with a game-high 19-point and 16-point effort, respectively. Rounding out the Wildcats’ double-digit scorers was Tanner Stoltzfus, who finished with 11. 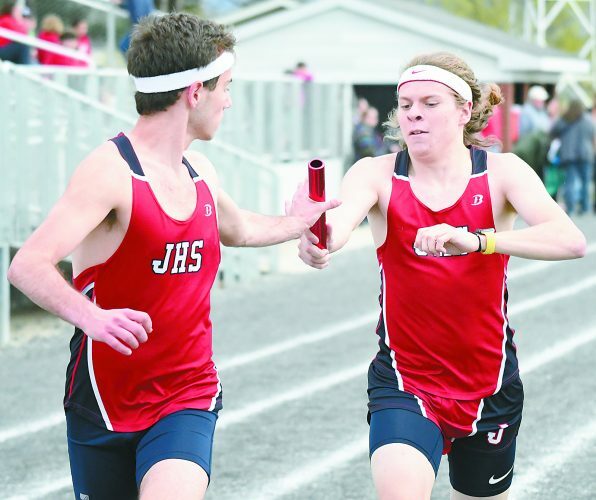 East Juniata’s John Nace battled his way for an 11-point effort to pace the Tigers. In the first quarter, the Wildcats wasted no time at all as they opened the game with a 3-pointer from Dante Colon. East Juniata battled back as Jake Kinzer worked his way inside making a tough shot in the paint, cutting it to 3-2. The Wildcats went on it’s first run after that, outscoring East Juniata 6-0 with 5:46 left in the quarter. Trailing 9-2, the Tigers bit back scoring the next three points, all from Zack Fogel, cutting it down to 9-5. Mifflinburg was just heating up as it clamped down defensively on the Tigers and fed it to its potent offense. The result was a 12-0 run to up the lead to a comfortable 21-5. Things continued to roll for Mifflinburg as it rounded out the scoring going on a 6-4 mark to take a 26-9 lead into the second. East Juniata was able to cut the Wildcats scoring to19 in the second. However, the Mifflinburg defense still limited East Juniata to only a 9-point showing and a 43-17 lead going into the intermission. The pace of the game increased in the second but the game still belonged to the Wildcats, outscoring the Tigers in the third quarter as well by a 27-11 margin, putting the game into a mercy rule situation. However, despite trailing, East Juniata refused to go away without a fight and battled hard in the last two quarters. 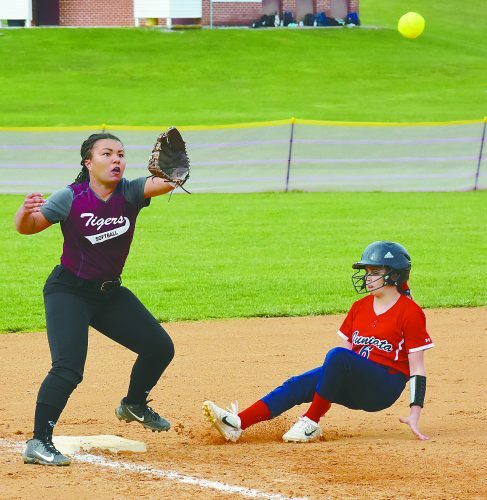 But in the final stanza, Mifflinburg continued to feed its shooters and clamp harder on defense, forcing a 15-10 scoring effort en route to the high-scoring victory. East Juniata is back in action today as it hosts Newport. Jordan Tyson 8 0-0 16, Logan Mensch 1 0-0 2, Levi Yoder 5 2-3 19, Daniel Zack 3 1-1 7, Seth Kline 1 1-1 3, Chris Day 4 0-0 8, Dante Colon 2 0-0 7 , Rylee Stahl 1 0-0 2, Jake Young 3 0-0 6, Tanner Stoltzfus 4 3/5 11, Austin Raymer 2 0-0 4, Nate Gilesbie 1 0-0 2. Totals 35 7-10 87. Jon Nace 4 1-3 11, Xavier Clement 1 5-9 7, Zack Fogle 1 0-0 2, Jake Kinzer 1 1-2 3, Beau Stuck 4 1-2 9, Wayne Dressler 1 2-5 4. Totals 13 11-23 42. 3-point goals: Nace 2, Kinzer. Did not score: Andrew Hunter, Nate Losch.